Have you ever found a hard lump on jaw line? If you do, don't panic and a lot of people do get it. Sometimes the lump is harmless and will heal with time, but you should know what causes your situation to keep in check. Here are some of the main causes. Read on and find out which condition fits you. Hard Lump on Jaw Line, Why? Here are 8 main reasons for hard lump on jaw line. Read them and find out what causes your lump near jaw line. There are a number of reasons that would cause a hard lump on jaw line. One of the reasons could be the salivary gland. Normally these glands are small so that you do not feel them beneath your skin. Occasionally, they might get infected and you start feeling them on your skin. In such situations, you will feel a certain amount of pain when you touch them. If the gland becomes large and painless, it might not be possible to tell whether it is infected or not. However, in rare cases this does happen as a result of cancer of the salivary glands. It is also important to take into consideration that there are so many saliva glands and some may get partial or complete blocked, causing hard lumps to form on jaw line. 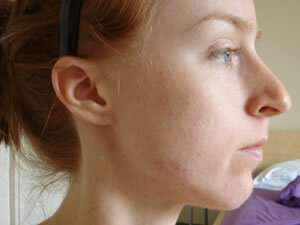 Another cause of a hard lump on jaw line is a swollen lymph node. If there is a lymph node located exactly under your jaw, then there is a chance it is the cause of the swelling. Lymph nodes store immune cells and get swollen when you have an infection. If you happen to get an infection around your throat an upper respiratory tract, then they might end up swelling as they fight the infection. Tooth abscess might also cause a hard lump near jaw line. If infected, material or puss collects at the center of a tooth and then an abscess is formed. This happens due to a bacterial infection. This is caused by tooth decay as well as when a tooth breaks or chips. Some of the common symptoms include experiencing pain while chewing, swollen gum around the infected tooth that might appear as swollen glands on the neck, and a swelling of the upper or lower jaw. This is considered a very serious symptom. In some cases, a cyst might be the cause of a hard lump on jaw line. However, it is important to note that there are different types of cysts - for example, sebaceous cysts that cause soft or hard lumps. Consult a medical practitioner in order to get the right diagnosis. In some instances, when wisdom teeth are removed you might feel a hard lump on jaw line. You might get lumps on both sides of your face, but one might disappear before the other. It is important to have an x-ray performed to rule out any other problems. However, the reason of this swelling could be that your body is trying to fight an infection. There are several reasons why one would have lumps on jaw line after facelift. Some include an inflammation around the stich, scar tissue, a prominent gland or a mere contour irregularity. The treatment is dependent on the timing as well as the cause. In most cases lumps will disappear naturally. If not, the surgeon can inject steroids in the jaw line to reduce scar tissue formation and inflammation. In rare circumstances, an ultrasound can be used to break up the scar tissue. A Juvederm Voluma injection is intended to increase the volume of the jaw line as well as the cheeks. In the first 2 weeks, you will experience tenderness and swelling around these areas. However, if you notice hard lumps on the jaw line and the upper cheek areas, it is important to go back to the person who administered the injection to have the product smoothed out and massaged. If a lump is cancerous, it is normally hard, has an irregular shape and is fixed firmly beneath the skin. This includes the jaw line as well as within the tissue. Normally, a cancerous lump is painless but in some cases it can be painful. Generally, if you have a bump or lump under jaw bone left side or right side, it is wise to pay attention to it. If there is a change in its shape, size, color or any other change, it is important to consult a doctor to check if it is cancerous or if it is a manifestation of an underlying disease.